You will enjoy Executive Chef Fabio Boschero’s creations using locally sourced and seasonal ingredients and artisanal pastries by new Executive Pastry Chef Dario Nuti. Some examples: Autumn garden (Mushrooms salad, pumpkin, chestnuts, late grapes on “Ajo & Ojo” chickpeas crumble), Mantovana pumpkin risotto with roasted almond and confit duck; Roasted hazelnut lamb Ioin, sautéed persimmon fruit and Barbera red wine and dark chocolate sauce. L’Uliveto Restaurant stages Sunday brunch between venetian masters and the royal blue pool. Fourteen corners, from antipasto to desserts, with fresh local produces and “live stations” for hot italian traditional dishes. Brunch is also enriched with asian and japanese, as sushi and noodles woked. There’s a corner dedicated to children with games and entertainment, accompanied by a food thought, prepared and served in the way that young people like to make Sunday Brunch a special event for the whole family. (85€ p.p. drinks not included , 35€ children that have their own event corner with supervisors). October the 14th will be the turn of Porcini Mushrooms, an Italian excellence that is best expressed in Carpaccio with Porcini and Parmesan; the home-made Tagliatelle with Porcini Mushrooms, baked Porcini Mushrooms, fried Porcini Mushrooms, Bruschette, Porcini Soup on toasted bread, Chocolate and Porcini, etc. October 28th is entirely dedicated to Halloween celebrations, with a breathtaking brunch of sweets, treats and dishes that celebrate the upcoming winter. Finally, November, the month of first tastings, will see their celebration on the 11th, with an excellent selection of “young” reds, to whom will be assigned the task of accompanying the sweet and savory dishes inspired by the way of the lakes. Among these, a special mention goes to Porchetta of Ariccia and to Genzano bread. The Focaccia with air-cured pork meat. Tagliatelle with Wild Boar. The Salami counter. The Novello wine of the Castelli Romani. Grilled Chestnuts. Starting from September, Rome Cavalieri offers an after-holiday city cuddle to be spent between the Spa and the gorgeous Tiepolo Lounge & Terrace. A day devoted to themselves care, perhaps shared with a fiend telling holiday’s experiences to regenerate after the re-entry in the city pace, an opportunity to extend the relaxing summer atmosphere. Now there is an amazing and exclusive news in which the caviar acts as common thread, by boosting all the senses: the beauty experience of the treatment La Prairie “Caviar Lifting and Firming Facial”. Till the end of October you can find it available in Italian preview only at Rome Cavalieri, followed by an unforgettable aperitif between sounds and beauty of the park and the flavors of tasting. The facial treatment “Caviar Lifting and Firming Facial” firms the skin and it makes it surprisingly silky, soft and tonic, thanks to caviar pearls contained in the new Caviar Premier cream. Its benefits are glorified by the massage executed by the expert therapists of Rome Cavalieri Grand Spa, giving brightness and radiance. An essential treatment to cope with the re-entry to city life with a beautiful, tonic, firmed skin soft like the silk. And then, after the facial treatment, to ensure the experience be fully multi-sensory, we move to Tiepolo Lounge & Terrace or at the Uliveto Restaurant where you can taste a wise selection of caviar Calvisius, combined with a glass of Champagne. After the tasting, every guest will get as a gift a little package of caviar, as a souvenir of a magic cuddle. The ideal post holiday ritual for body and mind, to face with the right spirit the re-entry into the city. 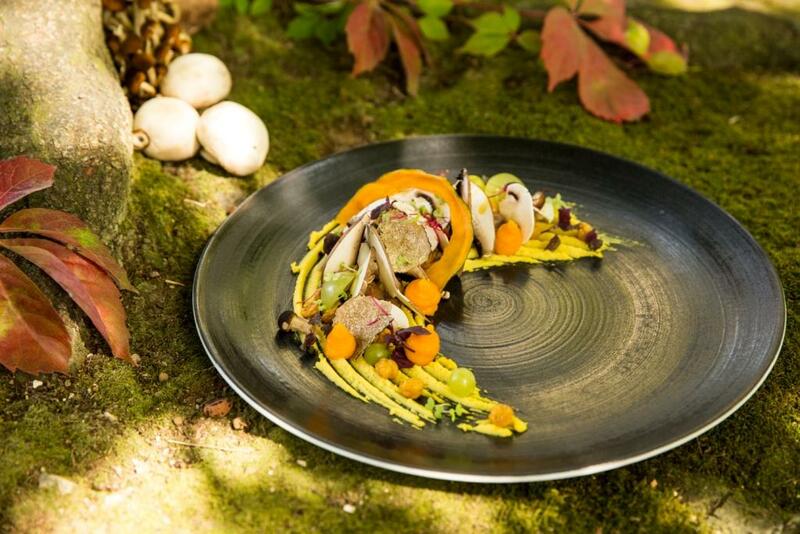 Proposals à la carte and dedicated menu to white truffle by Michelin Star Chef Riccardo Di Giacinto. With his wife Ramona Di Meola, Di Giacinto manage The H’All Tailor Suite, where Restaurant is placed, the first “tailor made” hotel in Rome. The concept is to put togheter house and kitchen under the same ownership. 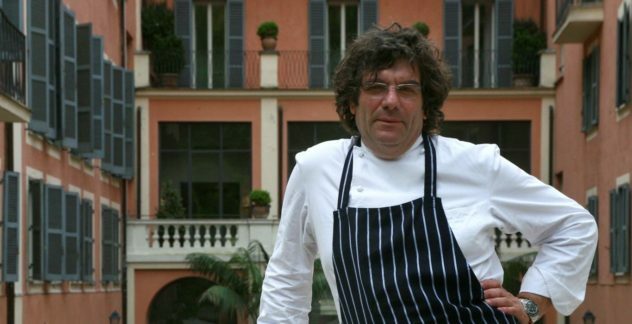 Guests will spend three days with Master Chef Fulvio Pierangelini (Two Michelin Stars) to discover food and wine secrets of Rome. Through a culinary tour, Pierangelini will reveal behind the scenes of the traditions of Roman cuisine and Italian specialties. Starting from Campo de’ Fiori, one of the most picturesque squares in Rome that hosts the famous market, guests can get lost in the most historic sausages and food shops; then visit one of the most authentic Roman farms and cellars near the suggestive Via Appia Antica and participate in an exclusive cooking class with the Chef. 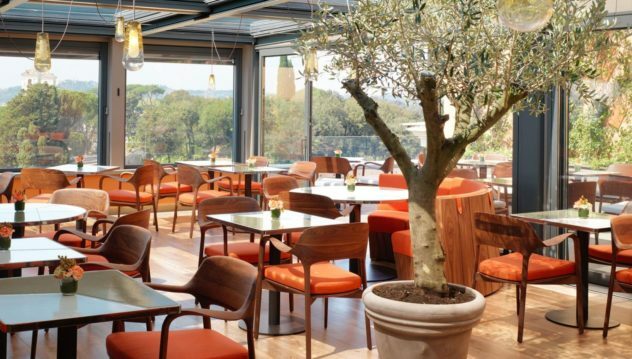 To complete the experience, guests can taste the delicacies served at Le Jardin de Russie, in the chic and elegant atmosphere of the Secret Garden. 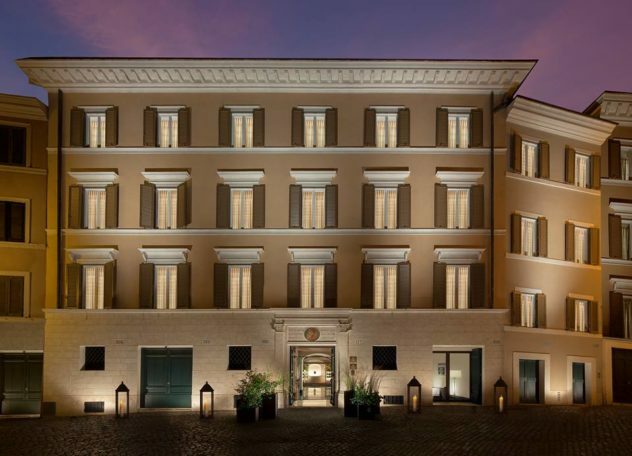 The package includes: 3 nights in Deluxe Double Rooms or in Junior Suites; American breakfast; Welcome Amenity; Enogastronomic experiences with Chef Fulvio Pierangelini. 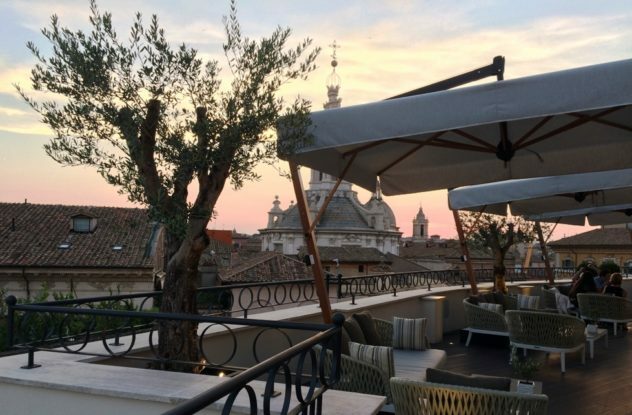 Every Thursday on the Roof Top of the Divinity Terrace Lounge you can enjoy aperitif and buffet overlooking the Pantheon and the roofs of Rome with live dj set (20€ per person). You can also enjoy dinner with view on Pantheon. From September 5 (every Wednesday, 7 – 11pm) “Dj Nights” will start again. As the sun sets, the whole of Rome sparkles into life. Admire the breathtaking view over an aperitivo at Il Giardino Bar, sipping the Bar Manager Gabriele Rizzi’s signature drink La Grande Bellezza with Rose vermouth, tamarind, mandarin, Los Siete Misterios mezcal or The Green Lady with Tanqueray gin, fresh basil, Eden citrus, egg white, celery bitters. From September 10 (available Monday through Saturday, 12.30 – 3pm) enjoy the “Salad Bar”, a salad buffet every day for lunch. A selection of executive chef Fabio Ciervo’s healthy and tasty salads filled with seasonal flavours will be complemented by two special hot dishes which change daily. You’ll also be able to indulge in a selection of fresh fruit and assorted pastries. The ideal situation for a light lunch or a business meeting. As background the music of a talented dj. From September 30 (every Sunday, 12.30 – 3pm) at Il Giardino Ristorante will be available again the “Sunday Brunch” with live jazz music. The executive chef Fabio Ciervo serves a rich buffet with an array of traditional Neapolitan specialities at the rooftop restaurant. It’s a wonderful chance to enjoy freshly made salads, pasta and pizza, tempting cakes and pastries. Hotel Eden and Campomarzio70, point of reference for lovers of artistic perfumery and research, have inaugurate the “Fragrance Bar”. Until December 31st 2018, at the lounge bar La Libreria, an original sensory experience will make taste and smell protagonists of a stimulating journey made unique thanks to the cocktails designed for the occasion by Bar Manager of Hotel Eden Gabriele Rizzi, inspired by a selection of exclusive fragrances suggested by Campomarzio70. Bar Manager has created nine cocktails, each inspired by the same number of perfumes proposed by Campomarzio70. To each fragrance corresponds a plaster sculpture that represents it. Enclosed in elegant glass cloche, the sculptures will be revealed 3 at a time – in parallel to the cocktails gradually presented – respecting the cycle of the seasons: spring, summer and autumn. Initially, to celebrate the spring season and announce the first 3 cocktails, will be exhibited 3 glass cloche containing as many sculptures, decorated with fresh floral decorations and with the primary elements that make up the base of each of the 3 different fragrances. The compositions will be flanked by a precious container of perfume, whose label will not include the real name but that of the drink inspired by the fragrance. This is where the sense of taste comes into play. By choosing the preferred essence, the combined cocktail will be suggested, or the other way. At the end of the experience, the guest will receive a free sample of the chosen perfume, whose name will remain secret and will be unveiled only showing it at one of the Campomarzio70 boutiques present throughout Italy (Rome, Milan, Cortina, Ravenna, Forte dei Marmi , Florence, Porto Cervo, Naples, Cagliari). Every Wednesday from 07:00 to 11:30 pm, aperitif on the seventh floor by the pool with djset, drink and food. All evenings, you can enjoy dinner at Sette, the restaurant that looks out onto the swimming pool, with new autumn menu by Chef Giuseppe Gaglione. Sette’s Bar Zest mixes up creative cocktails that beg to be sipped poolside with a panoramic view. 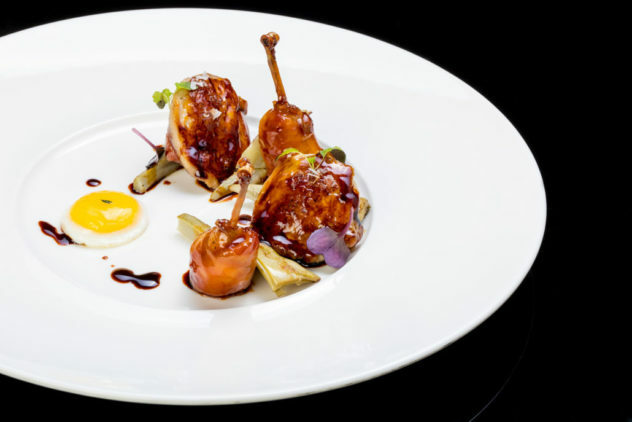 Rooftop Trattoria is home to authentic, contemporary Italian cuisine. It’s an ideal choice for an intimate, romantic meal or an exceptional business gathering. 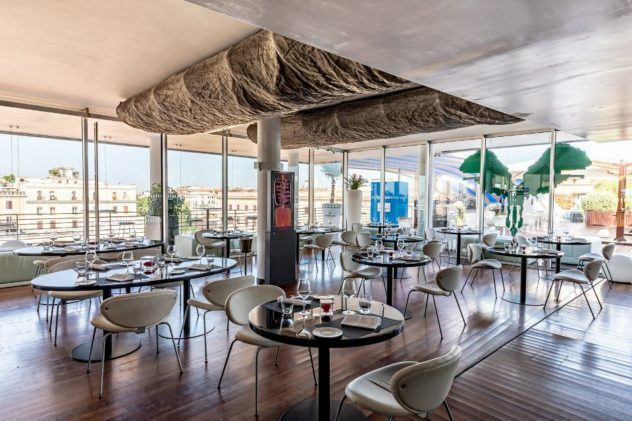 During the summer months, external patio allows guests to dine amongst the roman rooftops. 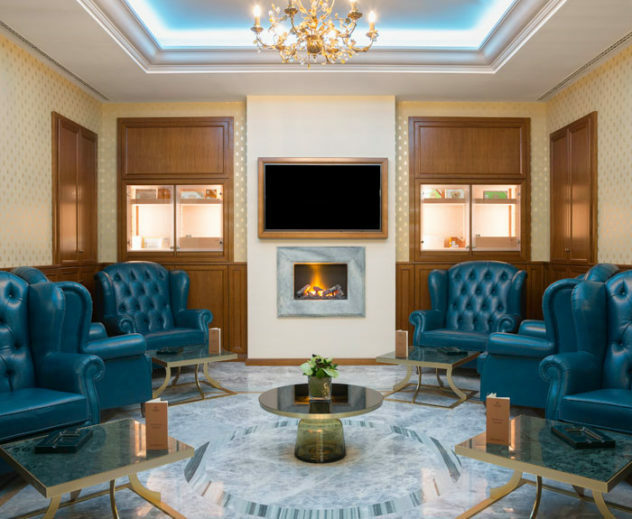 And after dinner you can enjoy a drink and a cigar in the “Cognac Lounge” (in the picture). From Palazzo Scanderbeg by Vespa scooter or classic car. Just like Gregory Peck and Audrey Hepburn, you can discover the wonders of the city enjoying a “Roman Holiday” style Vespa; retracing the same places immortalized in the famous movie and plunging into the same atmosphere dressing in style to take pictures and feel actors for a day. Castelli Romani, where to stop for a light lunch, before returning to city. Both opportunities provide guided or accompanied paths, with the minimum duration of 3 hours (prices starting from € 200).